Stephan Baby's Keepsake Birth Certificate Holder is sure to elicit a gasp of sheer delight from any parent-to-be. The intricately engraved silver plated birth certificate holder features a non-tarnish finish, measures 9-1//2-Inch long and has a special place for personalization. If you're thinking that a Birth Certificate Holder would make a lovely shower gift you'll be pleased to find that it arrives in a clear gift box tied with a pretty satin bow. 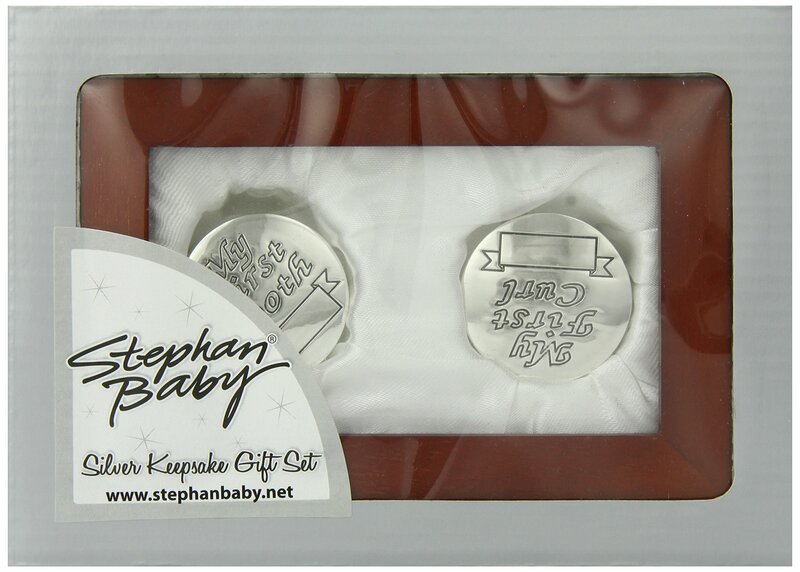 Should you be in the mood to truly surprise and enchant, pair the Birth Certificate Holder with Stephan Baby's First Curl and First Tooth Silver Plated Keepsake Boxes for a beautiful gift to be cherished for a lifetime. Since 1987, Stephan Baby has been dedicated to fine quality, unique and heartwarming gifts that celebrate the magic of baby's first year. The Stephan Baby family invites you to discover their inspired collections of blankets, gift sets, charming apparel and accessories, beautiful keepsakes and oh-so-huggable plush animals, available on Amazon. All Stephan Baby products are CPSIA tested and approved. Unique 43830 Foil Blue Radiant Cross Boy First Communion Confetti Unique Industries Inc.